Most people use Facebook ads to pump up their visitor numbers. Let me be clear. They don’t wake up with that goal in mind, but it’s usually what ends up happening. I see this all the time with clients I work with. The problem isn’t that they can’t set up the Facebook ad campaigns or get visitors to their websites. It’s the next step where things go haywire. The visitors they’re paying for don’t download ebooks, sign up for accounts or buy products. The reason for this simply is that the thing they offer doesn’t appeal to those visitors. But if you want them to download, sign up or buy, what can you do differently? Instead of creating boring offers that makes it easy for them to ignore you, you need to create an offer that will make your prospects drool. Most people new to advertising think it’s all about the creative spark that ignites a clever advertisement. Create something that taps into an unmet need in the mind of your prospect and they buy. It’s magic! The truth is less glamorous than what you see on Mad Men. Before you start to think about how the ad itself will look, you need to know exactly who you’re trying to reach, how you are going to convince them and how this ad will lead them closer to your final objective. If you get all the pieces of your funnel right, you’ll get clicks, downloads, leads or sales for pennies. If the pieces don’t fit, you won’t see any return for the money you’re plowing into your campaigns. In the rest of the article, I’m going to zoom in on each of these parts and show you on how to get these right. 25-35-year-old women that are into Scandinavian design, Chow Chow owners, triathletes, parents with kids in primary school, Harry Potter fans, etc. On Facebook you can choose from a large number of targeting options to find these people. But just because you can identify someone as a potential customer, it doesn’t mean it’s a sure sale. So how can you focus your efforts on those that are most likely to take action? You know these people are pretty likely to take action because they’ve done so before. I’m of course talking about your customers. These people already know about your brand, product or services so you can be pretty direct. 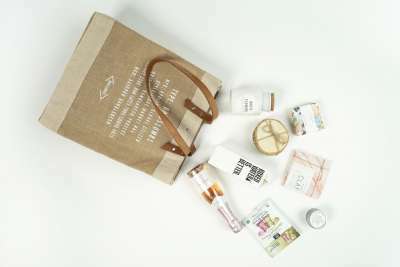 Tell them about the new collection, a new service or a product that’s complementary with something they’ve bought before. On Facebook you can reach these people by uploading your customer list to Facebook and run campaign targeting them. Amazon, for example, has so many customers it can laser focus its targeting on specific customers that they know will lead to the highest revenue per order. Your list is a lot smaller, but it can still be very valuable, so use it occasionally. A level down from your paying customers are the people that know you. These could be visitors on your website, email subscribers or Facebook fans. Facebook allows you to target them using custom audiences via their tracking pixel, or again, by uploading an email list. Check out this ad by Precision Nutrition that increased their newsletter size by 6,000 more subscribers. Each of the cards in this carousel ad tries to hit on a different angle to draw website visitors to their workout nutrition guide. 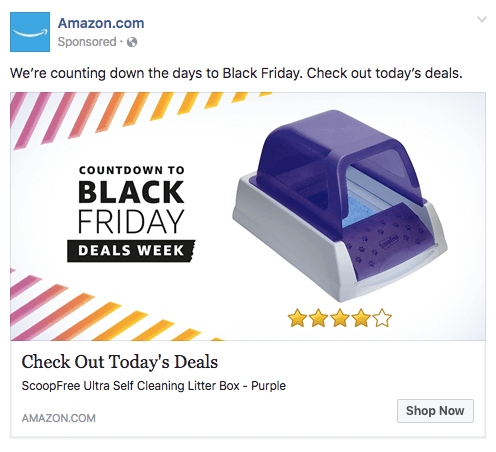 These carousel ads also work great for ecommerce brands as they allow you to showcase a wide variety of products. 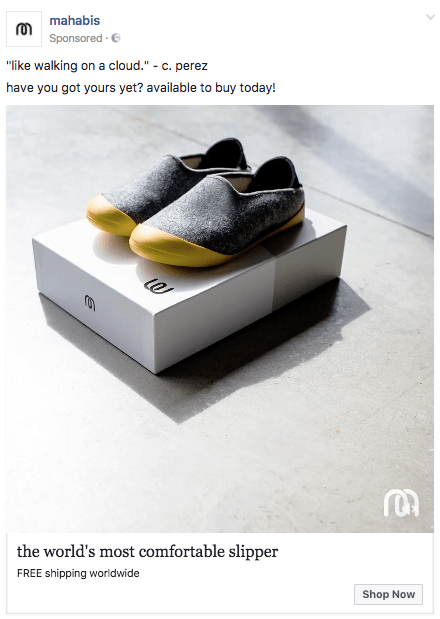 This ad for Mahabis slippers popped into my feed a couple of months after I had been to their site looking for slippers. Using a review by one of their customers with a video ad, they’re trying to make me reconsider a purchase. The success of your ads targeted at this type of audience will depend again on how big your business is or how long it has been around. But similar to your ads that target your customer list, you don’t want to overdo it and use a high budget on a small group of people. That will lead to burning out your fan base quickly. These people are the people that have never heard of you. 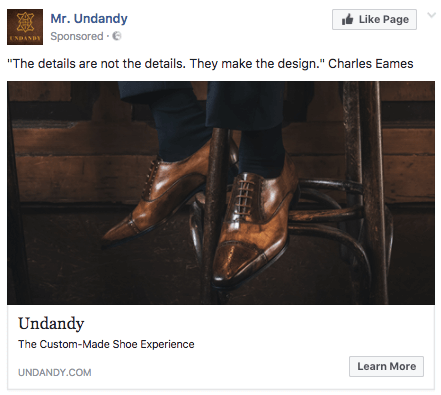 Since they’re on Facebook to do other things than look at Sponsored posts, you’ll need to introduce them to your brand in a way that grabs their attention, but is still relevant to your brand. I’m a cyclist (Facebook’s interest based targeting), but I never had my bike stolen. Still, this ad makes me wonder: what is it about Ellipse that makes it less likely to get stolen? 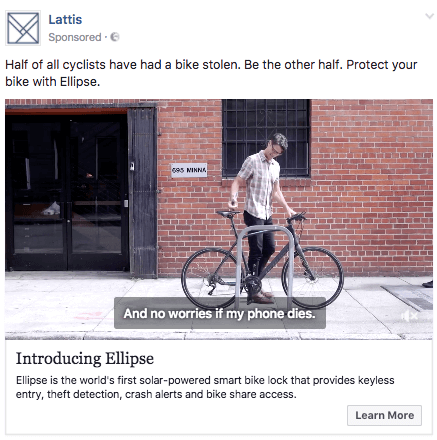 So this ad succeeds in connecting something that interests me (stolen bikes) to their solution (a new type of lock). The example above from Mr. Undandy is less powerful. It gives me an interesting quote, but there is nothing there that I can seem to gain by clicking through. Because of this disconnect, I’m pretty likely to ignore the ad and scroll past it. To run campaigns to a broad audience, most advertisers will use the targeting options that Facebook provides. 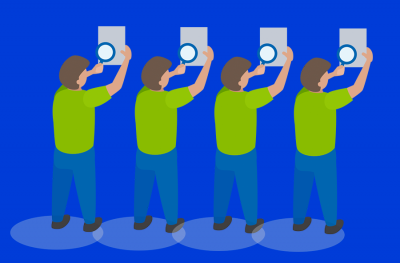 Another option is to use lookalike audiences. These are based on one of the audiences I’ve mentioned before (like your website visitors). Facebook will use its algorithm to find more people that are similar to the ones you already have in your audience. In the campaigns I’ve run, I’ve found this targeting option to be very cost effective, compared to the more traditional targeting. So ideally, you’ll have a steady flow of people moving through your funnel: first they don’t know you, then they have vaguely heard of your business until finally they are ready to buy (again). Let’s look at how your message needs to change depending on where they are at in the funnel. It’s very hard to shortcut the buying process. Your awesome copywriting and conversion hacking can nudge them in the right direction, but a customer will do what he or she wants to do. Ignoring this is one of the biggest mistakes I see advertisers make. 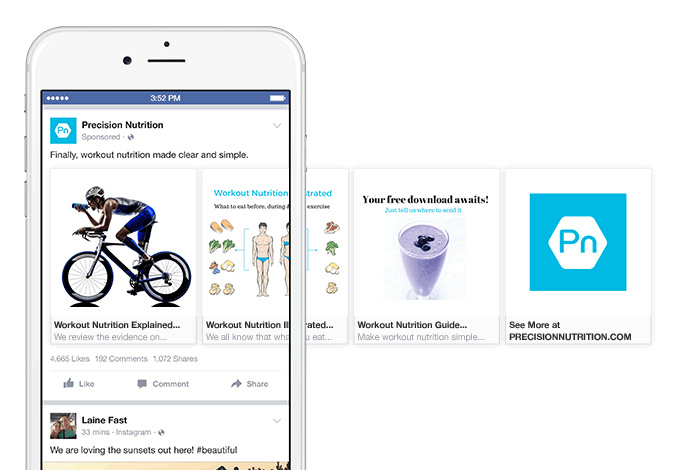 My Facebook News Feed will look very different than yours, and so will the ads in that feed. So it’s hard for you to judge if and ad is relevant or not without the context. But let me tell you I had no idea what this was about. I’m based in Belgium and this company is trying to sell me accommodation for a trip to California. I’ve never been there nor am I planning a trip there. Don’t get me wrong; this ad could be perfect for me. 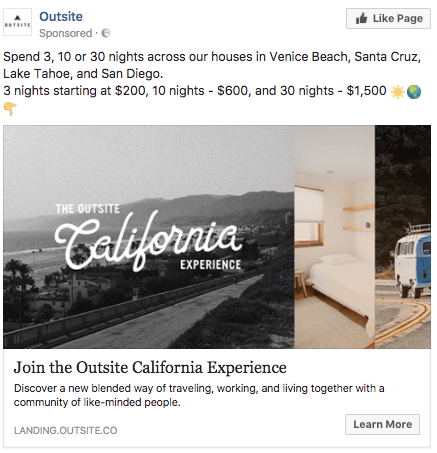 If I knew the company behind the ad, liked what they were offering and was researching a trip to California, I’d probably click on it. But it’s simply too direct to grab my attention right now. Instead of this ad, they could try to connect to something that really interests me about their locations or concept. And only then – move in for the sale. Now that you know who to target, let’s take a look at what you should put in front of them to make them bite. Finally I get to the offer. I’ve been hinting at this throughout the article, but what do I mean with the offer? Well it’s the promise you make to the person that sees your ad. If he thinks it’s worth it, he will click through to your landing page. There, you’ll make a new promise and so it continues. In the example from the Ellipse bike lock, the landing page would have to tell me how it will prevent my bike from being stolen. Then it can try to get me really interested in its features and hopefully – a sale. This is the part where you go wild and unleash your true creativity. Your goal here is not to create an ad that stays on the surface with vague language and stock images. You ideally want to get under the skin of the people you’re trying to reach and tap into things they fear or dream about. 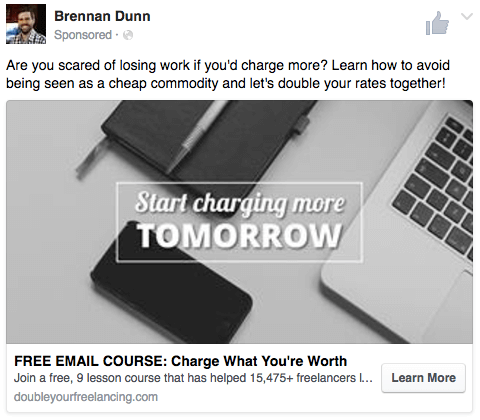 Brennan Dunn taps in directly into my fear of losing customers with this ad. The call to action is that exact thing that will let me handle that fear. 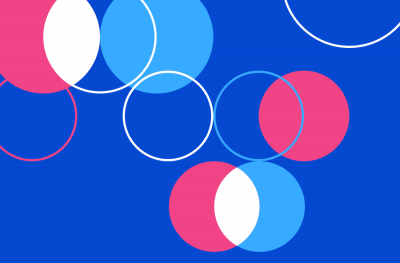 Facebook makes it clear that the better engagement (clicks, likes, etc.) your ad gets, the less you’ll pay for each click. Starting out, it’s hard to say which ads will be winners. I’m still surprised at how often I’m wrong guessing which ad will be the most effective one. That’s why it’s important to test a lot of different ad variations. You can experiment with different angles like features or benefits or with different formats like video or carousel ads. If your ad gets the clicks from the right people, you’re ready for the next challenge: your landing page. Most of the same rules I’ve covered above apply here. Your landing page has to match what your prospects are willing to do. If it’s the first time someone hears about you, you’ll need something easy for them to do or read. Further down the funnel you can get more direct to makes the sale. So how do you know your page is effective? This might seem like a stupid question, just check your conversion rate right? But what if there are no conversions? Even without any conversions, there are a couple of other ways to find out. Depending on your goals, these three will tell you how your page is doing. But it won’t tell you the most important part, how to improve it. To get this information, you need to find out what’s going on on your pages. My first stop usually is to look at a scrollmap of my landing page. That’s a visual overlay that tells you how far people scroll on your page. Check this example of Harry Fay Jewellery Boutique a jewelry retailer. The bluer it gets, the fewer people have scrolled that far down. 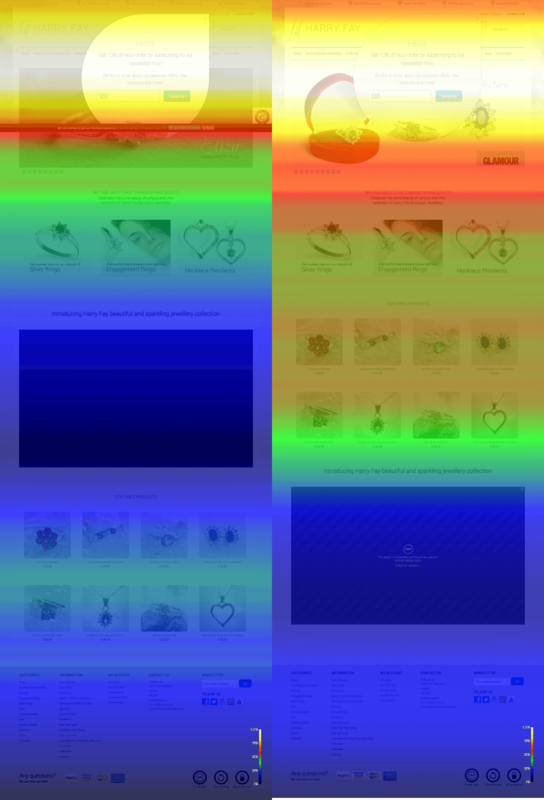 Their initial homepage, on the left, gets blue pretty quickly. Visitors see the main offer but don’t actually look at any products, which is key to make people curious. Based on this information they re-arranged the homepage layout which you can see on the right. This version clearly draws the visitors further down the page. Heatmaps will give you a pretty similar picture of telling you where people are clicking (and where they are not). If you were thinking all three of those blocks were equally important, think again. Visitors are clicking more often on the left block or the link below the blocks. So maybe you should spend more time explaining that part. Another way to get this kind of information is by asking your visitors directly with an on-page survey. You can trigger a poll when visitors are hesitating to take action or ask afterward why they pulled the trigger. You can do this with tools like Qualaroo or Qeryz. In the survey above you can see the owner asking for feedback on how they can make the page better. Although you need a lot of traffic to get valuable answers, they will give you some extra perspective into the mind of your visitors. These three tools: scrollmaps, heatmaps and on-page surveys can give you some clues to why your page isn’t working, and what you would have to change to make it more effective. In this article we’ve broken your ad campaigns down into different parts. We’ve looked at who you’re targeting, what kind of messages work best at which stage and how to make your ads as effective as possible. If you’re serious about turning your ad campaigns into winners, I suggest breaking down the different parts of your funnel as much as you can. Making tweaks part-by-part will help you focus and make it easier see improvements. About the Author: Dennis is figuring out the path to ecommerce success over at Store Growers. He translates what he’s learning from clients and his own projects into no fluff marketing advice that real store owners use to grow their real businesses. If you want to learn even more about making your online advertising, join his free 5-day course!